Like to receive campaign emails? 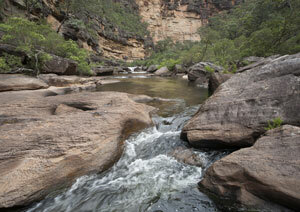 At any point in time, the Blue Mountains Conservation Society has several campaigns on the go. Some are short term - like an Election Campaign; others span many years - like Protect the Gardens of Stone. Our past campaigns are shown on our Past Campaigns webpages. The submissions and letters that we've made to governments - local, state and federal - are shown on our Submissions webpage. On the 23rd March the people of NSW will elect their next state government. The Society's theme for the 2019 NSW State Election is Protect Our National Parks. As in previous elections, the society has developed an environmental questionnaire and is seeking responses from the candidates from the major parties. Visit our 2019 NSW State Election webpages to learn about the candidates, our questionnaire and events. Katoomba Airfield is located at the end of Grand Canyon Road in Medlow Bath. It is completely surrounded by the Blue Mountains National Park. This strategic location has been important for bushfire fighting and other emergencies. The Department of Industry (Crown Land and Water) is currently considering issuing a new long term lease over Katoomba Airfield at Medlow Bath to a private commercial operator. A short term ‘licence’ was issued to a private commercial operator on 1 February 2018. The Department advised that community consultation will be undertaken prior to the issuing of any long term lease. 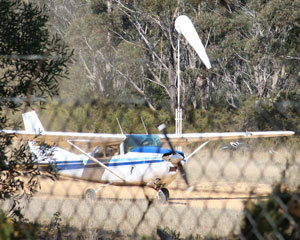 Visit our Katoomba Airfield Lease webpage. Visit our Leave Radiata Plateau Wild webpage. The Society opposes the proposed Western Sydney Airport as it impacts the environment of the Greater Blue Mountains and threatens its world heritage listing. In April 2014, the Australian Government announced that Badgerys Creek would be the site for a Western Sydney airport. The airport site is 50km west of Sydney's central business district and 8km from the eastern edge of the Greater Blue Mountains World Heritage Area. The airport would operate 24 hours a day and handle up to 70 million passengers per year. Visit our No Western Sydney Airport webpage. One of the most beautiful and intricate sandstone landscapes in Australia - dramatically coloured escarpments and headlands, slot canyons, cave overhangs, ancient sand dunes and the complex arrays of internationally significant rock turrets known as pagodas. Huge plant diversity, including more than 1,000 species and 33 different vegetation communities (15 of which are threatened or poorly conserved), ancient montane heathlands; nationally endangered upland swamps and a unique species of snow gum. Learn about the amazing Gardens of Stone, why it needs protecting and how you can help our campaign. Visit our Gardens of Stone webpages. The Society is proposing additions to the Blue Mountains National Park. 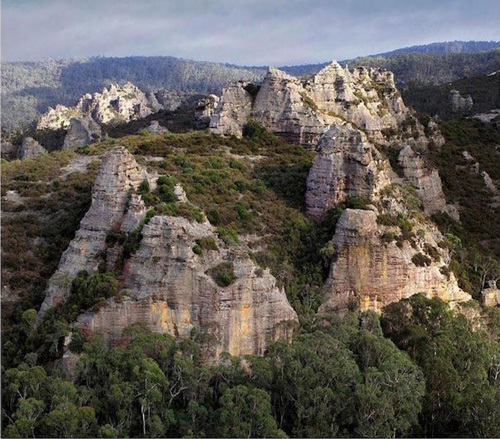 This would require an assessment by the National Parks and Wildlife Service (NPWS) to determine whether to acquire them and add them to the Blue Mountains National Park. Visit our Proposed Strategic Additions webpage. In October 2018, the NSW Government passed legislation to allow the flooding of World Heritage listed national parks by raising the wall of Warragamba Dam. If the dam wall is raised, 4,700 hectares of World Heritage listed National Parks and 1,800 hectares of declared Wilderness Areas will be forever scarred from sedimentation, erosion and invasion of exotic plants. Raising Warragamba Dam will inundate 65 kilometres of Blue Mountain's wild rivers. 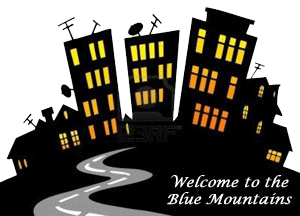 Planning and development in the Blue Mountains is determined by its Local Environmental Plan (LEP) and its Development Control Plan (DCP). The LEP is a statutory instrument to which all new development must comply. While the DCP is a policy document that the Council uses when considering whether to grant development consent. The Society has been heavily involved for decades in reviews and discussions on new and amended LEPs. We make submissions on development applications which are large and complex and which we believe will have a significant negative environmental impact. The Society has developed a Planning and Development Resource Kit to help residents take appropriate action on environment-related matters. Visit our Planning and Development webpage. The Society has campaigned to stop Clarence Colliery's impacts on the Wollangambe River and the Greater Blue Mountains World Heritage Area for many years. 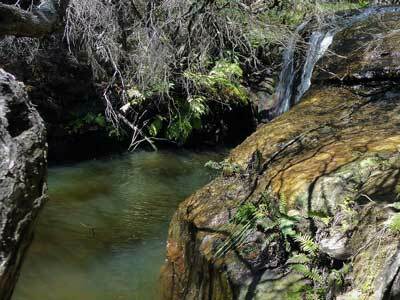 The Wollangambe, a designated wild river for most of its length, flows eastward from the Newnes Plateau through the Greater Blue Mountains World Heritage Area until it joins the Colo River. Visit our Protect The Wollangambe webpages.